Why Should You Choose to Go Green? 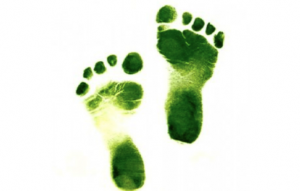 Going green makes the world a better place…really! Implementing green practices in your home or office can help reduce waste, conserve natural resources, improve both air and water quality and protect our ecosystems. Green systems and materials reduce energy consumption – especially at home when you want reduce the cost from your energy bills. Going green can also increase asset value and profits and decrease marketing time making your dollar go further for a longer period of time. For example, to see a change, monitor energy usage on your utility bill and set a goal for the next month. You can find high energy-draining devices using a Kill-a-Watt and save heating/cooling energy with a programmable thermostat. Then, check your next bill for a progress update, and keep reducing until your goal is reached. Going green isn’t just good for the environment; it’s also good for YOU. Believe it or not, it can make you healthier. We spend up to 90 percent of our lives indoors, where pollution levels are often higher than they are outdoors. Outdoor activities, for instance, use less energy while providing a more natural experience with cleaner air. Thus, this allows you to have a healthier body by breathing in clean air and through exercise. Going green is good for just about anything when you make the right actions. So enjoy living eco-friendly and always remember your cause in doing so!